ANNOUNCEMENT: This form has moved to FamilyID, our new secure registration system. If you have not yet created a FamilyID account, you will be prompted to do so when registering for Holiday Camps. Creating a FamilyID account is simple: upon submitting your details, you will receive an email with a link to activate your FamilyID account. When registering, you’ll enter your information only once for each child, and the system will keep track of the information in your profile for future registrations. Using the new system will make it easier for you to submit requests and receive confirmations. 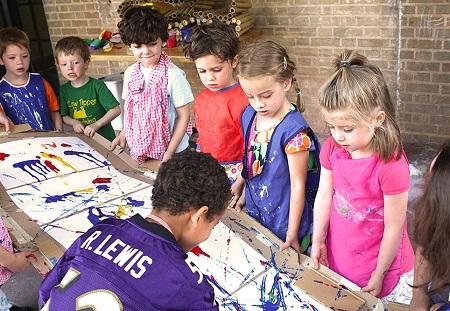 Register your child for TNCS’s Holiday Camp, where they will enjoy a full day of arts and crafts, science experimentation, reading, dancing, outdoor activities, and Spanish and Chinese immersion. They will also have access to TNCS’s gymnasium, where they can climb and tumble on the Gerstung gym equipment as well as build and learn with the Imagination Playground. Please note: School lunch and Extended Care are not offered during TNCS Holiday Camp. Notice of cancellation is required within 5 days of the start of Holiday Camp; TNCS is unable to issue a refund if you do not cancel within this period. Note that we have replaced the previous form with a new online registration system. For Winter Break and 2018 camps, please register on the new platform, FamilyID.